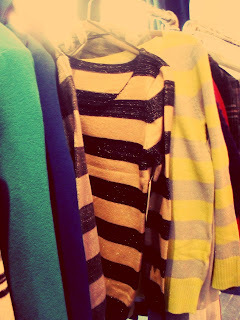 NYC and the fashion world has been a-buzz with the glitz and glamour that is New York Fashion Week. This past week, thanks to Cinny and Sears, I got my own personal glimpse into what to expect this Fall in Sears stores everywhere. Hosted at Bagatelle- a little bistro ensconced in the heart of the meatpacking district, I attended the searsStyle Blogger Brunch for New York Fashion Week 2012. Feeling as fancy as ever, I took the dirty 'ol train downtown trying my hardest not to wrinkle my golden blazer and recently ironed white V-neck. I arrived early at Bagatelle, and was able to chat with the blogosphere's very own Vera Sweeney as well as the lovely Sears reps. I also had the chance to get a closer look at the latest in Fall fashion. So here’s what you can look forward to this Fall: Bright colors and prints were not left behind with the ending of summer. 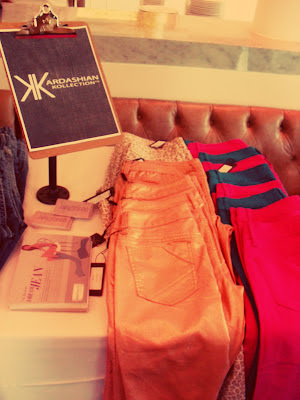 Jewel toned jeans and bold prints studded the denim bar that Sears had so carefully set up for our viewing pleasure. 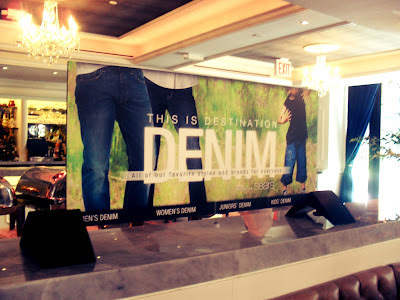 Being a jean-addict, I was totally in my element. 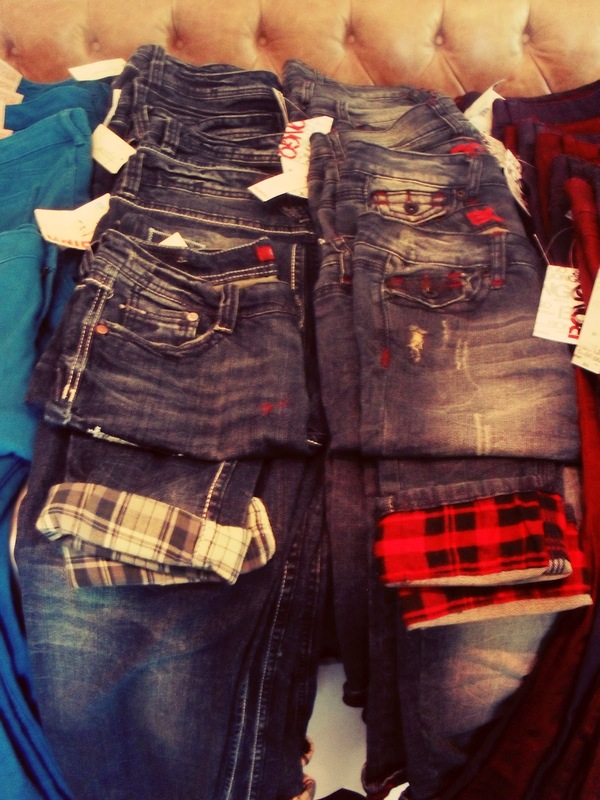 I ran my hands lovingly over hi-rises, lo-rises, jeans with plaid cuffs, dark jeans, red jeans, teal jeans, and leopard print jeans. 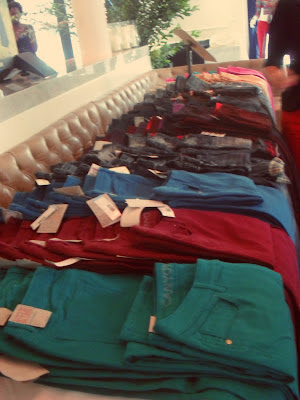 I was like a kid in a candy shop- or a fashionista in a denim shop. 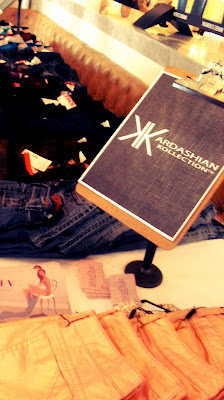 At the brunch we were able to talk to Bruno Schiavi who is the head designer for the Kardashian Kollection. He was super friendly, and talked about working with the Kardashians, and the process behind deigning the line. 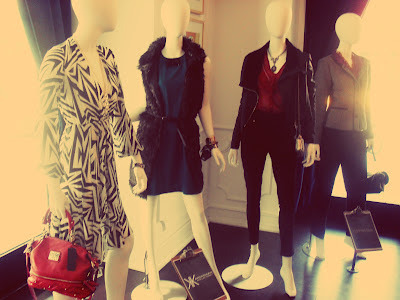 He also let us in on what shoppers can expect this upcoming season. And on that note- this fall you we expect pencil skirts, puffer jackets in colors like dark purple and navy blue, sequined tops, large-print houndstooth coats, glittered striped sweaters (they’re really super cute! 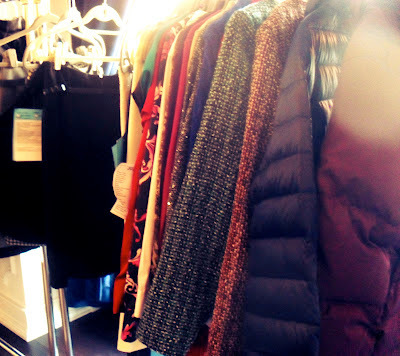 ), skin-tone dresses with black lace overlay, leather coats, deep red blouses, skinny black jeans, and so much more fun Fall pieces! It really was a great event. The location, deep in the city – where a large portion of the recent Fashions Night Out had occurred- was inspired. Bagatelle’s brunch was delicious! The Salade Bagatelle – heart of lettuce with house made herb vinaigrette and parmesan – and black truffle scrambled eggs were amazingly yummy. Before I left I quickly perused a rack of gorgeous blazers, squealing with a fellow attendee over the cut and feel of the fabric. I couldn’t wait for them to hit the store, I would surely be the first one at my local Sears to pick up their latest fashion. 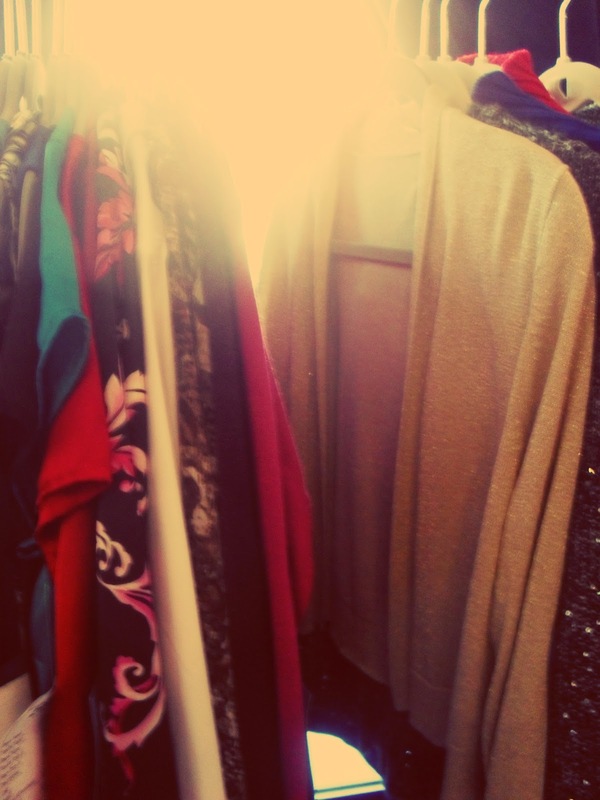 Until then, there’s still so much to be had in store right now! 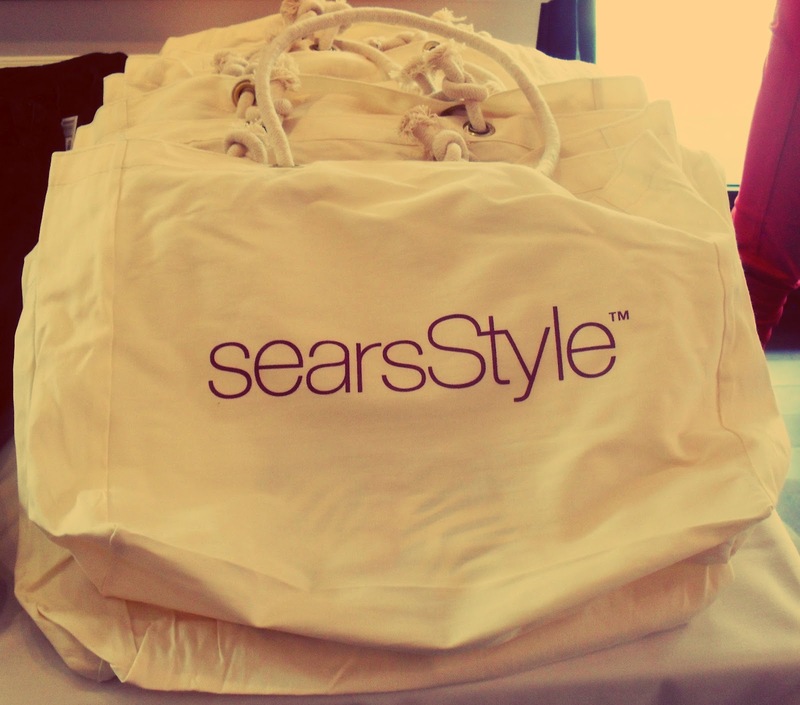 I shop at Sears because I get quality, fashionable clothes- in great sizes, at a great price – and that is exactly what you can expect to find at Sears this Fall! AW - I'm so jealous you can go to fashion week. Great post - look forward to seeing more from you! That looks like such a fun event! Sears has some really great looks for Fall!